To prepare for Friday's inauguration coverage, ABC News special events producer Marc Burstein went back and watched the 2001 and 2009 inaugurations. "A lot of it is going to look very familiar," he said. Almost everything about President-elect Donald Trump's campaign and presidential transition has been unorthodox, but the inaugural ceremony will adhere to norms. Trump "has shown a respect for the choreography" of Inauguration Day, CBS News Washington bureau chief Christopher Isham said. Looking ahead to the swearing-in and the parade, he said, "unless they've got any surprises up their sleeves, which is always possible, it's going pretty much according to the playbook." The nation's television networks play a pivotal role in every inauguration by blanketing Washington with dozens of cameras and transmitting every moment of the day. By literally showing the peaceful transfer of power, the news coverage sends signals to the country and the world about American democracy. 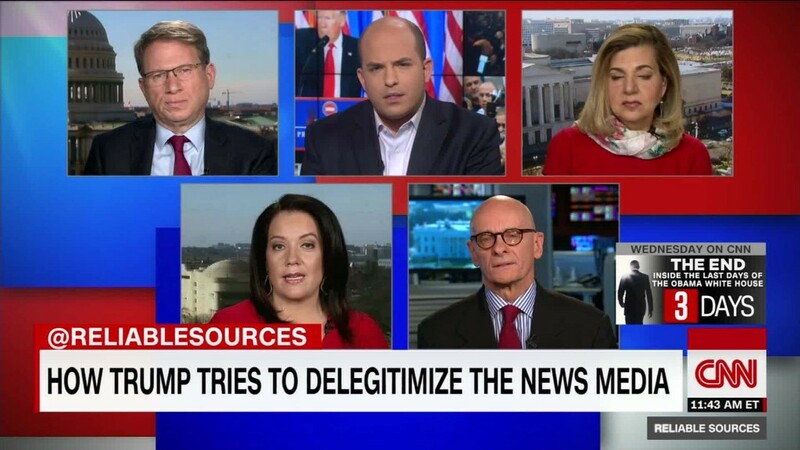 NBC, ABC, CBS, CNN, and Fox News -- all members of the "pool" that take turns tracking the president's every move -- split up responsibilities on Inauguration Day. NBC operates dozens of cameras around Capitol Hill, CBS handles the parade route, and so on. "In some ways it's more complicated than an election night," CNN Washington bureau chief Sam Feist said, because there are so many locations to cover throughout the city. "The center of gravity moves with the president," he said, starting at Blair House, where Trump will wake up on Friday morning. Feist said CNN has well over 100 cameras in place for inauguration coverage between all the network pools and additional cameras for anchors and reporters. He said Friday will entail "anchor hopscotch," with CNN anchor locations on the National Mall; at the Capitol; on Constitution Ave; at Lafayette Park across the street from the White House; along the parade route at Freedom Plaza; and at two of the three inaugural balls. While television anchors will surely point out that nearly five dozen members of Congress are boycotting the inauguration, the iconic imagery of the transfer of power will be recognized by viewers in the U.S. and around the world. "The tradition and the ritual of the day, of the transfer of power, it's something that I think has inherent weight to it and inherent awe to it, and I think always impresses you. And I think our job is to convey that and to do it in the best possible way we can," Isham said. The country remains deeply divided, even scarred, by the election results, and some liberals have talked about ways to avoid Friday's television coverage. Anti-Trump protesters are expected on Friday and in much greater numbers on Saturday. "We're always ready for protests. We'll see what happens," Burstein said. But he echoed executives from other networks in saying that ABC's plan "is to play it straight." "We're covering this almost exactly as we covered the Clinton to Bush transition and the Bush to Obama transition," he said. Feist agreed, saying in a telephone interview that inaugurations have a "template," and "that template is being followed identically" by the Trump transition team. A few minutes before the interview, Feist watched in his office as Trump boarded a United States Air Force plane en route to Washington. The take-off was carried live on all the cable news channels. "That's the first image that begins the process of him becoming president," Feist said.